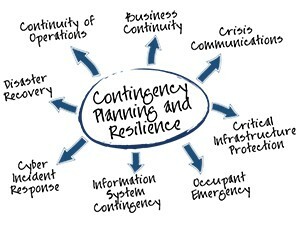 At Cycrest, we offer many different backup and disaster recovery solutions. From internal encrypted cartridge backup systems that allow off site removal, thus saving you monthly recurring costs (HIPAA Compliant of course), to Internet based off-site Cloud data backup and complete disaster recovery systems, Cycrest has you covered. For those Clients who simply must have continuous up time due to 24/7 operations such as manufacturing, healthcare, banking and other market segments, Cycrest offers Server Clustering, Replicated Cloud Server Services and Remote Server Mirroring to help insure your Organization keeps going 24/7,365 days a year. For those Clients who need quick data and system recovery should a catastrophic event occur such as a flood, theft, fire or vandalism, Cycrest offers our Backup and Disaster Recovery system (BUDR) which allows us to image your server, programs and data, weekly, daily and even hourly and then simply restore that image to a new server to get you up and going with very little down time. Ask us for details. Cycrest Systems is Spokane's premier IT-support company - contact us today to learn more.